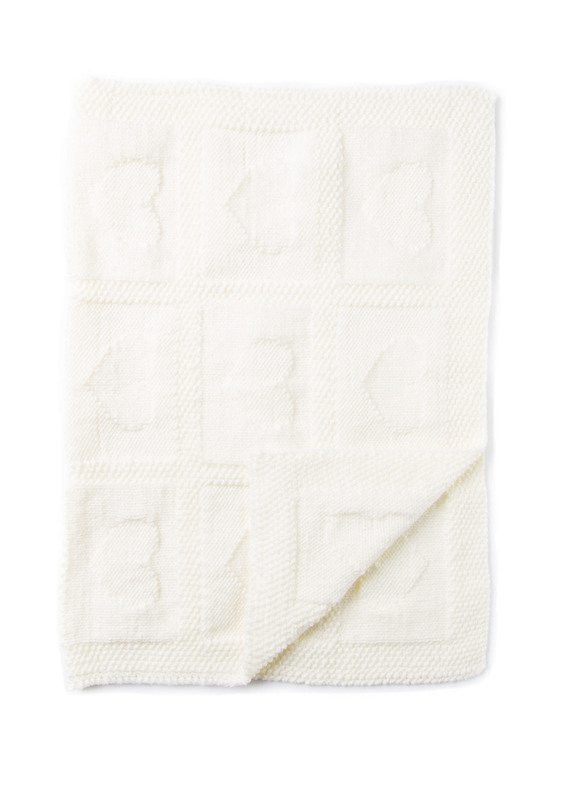 Welcome your bundle of joy with a warm and practical blanket! This easy to knit design features simple stockinette or reverse stockinette textured heart motifs in squares set off with seed stitch borders around all the motifs. Made of Baby Smiles Bravo Baby, which is extra soft on your baby’s skin, chemical free and easy care, and comes in a great range of colors. One size approximately 23 x 33 ½ inches (58 x 85 cm).